To see your financing options, just fill out a short page of basic questions that you should know like the back of your hand. Interest rates and loan terms vary based on credit scores. 36 month to 60 month loan terms are offered, to a maximum loan amount of $35K. USA Only, not available in Nevada, Iowa, or Vermont. Ohio requires minimum loan of $5,001. Choose the loan amount, term and rate you’d like from the options you’re pre-qualified for. Log in to your bank to share a one-time, read-only overview of your account info. By sharing your info electronically, you typically won’t have to upload any income documents and you’ll receive your money faster. E-sign agreement and receive your money. Choose where you’d like your money deposited, e-sign your agreement and your money will be on its way in as little as one business day. Once your money is in your account, contact us to move forward with your purchase. Pay us, by either by a cashiers check or wire transfer. Your manual is shipped out, along with a sales order reflecting your payment. Once your sales order is paid in full and your machine has been completed, your machine will ship in a few short weeks. We will always call before we ship anything. We can plan around vacations, holidays, etc. A personal loan is an unsecured installment loan with a fixed interest rate that is repaid in equal monthly payments. 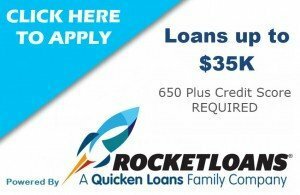 A RocketLoans personal loan provides you with a simple, automated process to get your money into your bank account quickly and efficiently. Personal loans are most popular as Debt-Consolidation Loans, which allow you to consolidate high-interest credit card accounts into a single, low, fixed monthly payment with a specific time period to eliminate the debt. Other popular uses are to make Home Improvements, or to make major purchases. The interest represented assumes full payments each month for the entire term of the loan using autopay repayment. RocketLoans Personal Loans never have a pre-payment penalty, so the loan can be repaid at any time by making a full payment of the remaining balance and incurred interest at the time of payoff. 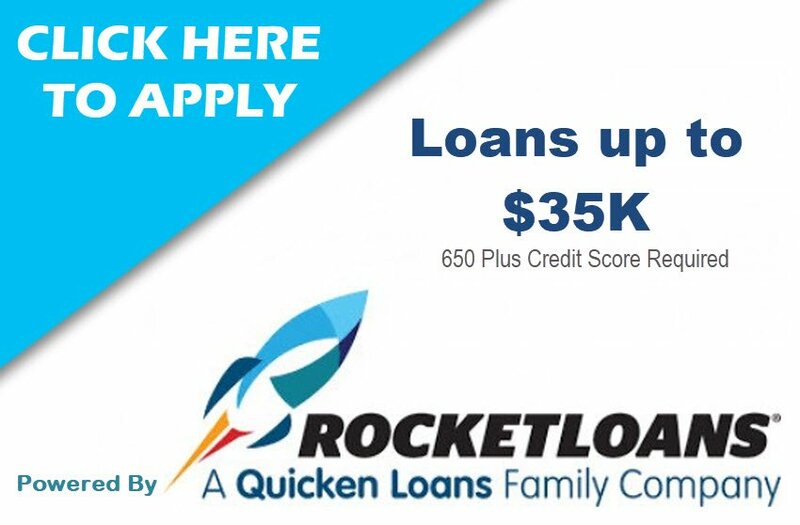 Qualified clients using RocketLoans will see loan options for a 36 or 60 month term, and APR ranges from a minimum of 5.983% (rate with autopay discount) to a maximum of 29.99% (rate without autopay discount). *An origination fee of 1% – 6% is charged to each loan. The fee will be deducted from the balance of the loan before the funds are disbursed to the client.